A. Major factors influencing buying behaviour. The aim of marketing is to meet and satisfy target customers’ needs and wants. Some time customer say something but actually do different. Their buying behaviour influenced by many factors. The culture is the most fundamental determinant of a person’s wants and behaviour. Culture has a broadest and deepest influence on buying behaviour. The growing child acquires a set of values, perceptions, preferences, norms and behaviour through his or her family and other key institutions. For example, a child growing up in the United States is exposed to the following values : achievement and success, activity, efficiency and practicality, progress, material comfort, individualism, freedom, external comfort, humanitarianism and youthfulness. Each culture consist of smaller subcultures that provide more specific identification and socialization for their members. Subcultures include nationalities, religions, racial groups and geographic regions. Many subcultures make up important market segments and marketers often design their product or services and marketing programs according to consumers needs. Social classes are relatively homogeneous and enduring divisions in a society, which are hierarchically ordered and whose members share similar values, interests and behaviour. Social classes do not reflect income alone, but also other indicators such as occupation, education and area of residence. Social classes differ in dress, speech patterns, recreational preferences and many other characteristics. Social classes have several characteristics. First, those within each social class tend to behave more alike than persons from two different social classes. Second, persons are perceived as occupying inferior or superior position according to social class. Third, social class is indicated by a cluster of variables - for example, occupation, income, wealth, education and value orientation - rather than by any single variable. Fourth, individuals can move from one social class to another - up or down - during their life time. A consumer’s buying behaviour is influenced by such social factors as reference groups, family and social roles and status. A person’s reference groups consists of all the groups that have a direct ( face to face ) or indirect influence on the person’s attitudes or behaviour. Groups having direct influence on a person are called membership groups. Some membership groups are primary groups, such as family, friends, neighbors and co – workers, with whom the person interacts fairly continuously and informally. People also belong to secondary groups, such as religious, professional and trade - union groups, which tend to be more formal and require less continuous interaction. Their reference groups in at least three ways significantly influence people in our society. Reference groups expose an individual to new behaviours and lifestyles. Their attitudes and self - concepts also influenced by the reference groups. And they create pressures for conformity that may affect actual product and brand choices. So, marketers try to identify their target customer’s reference groups, which influence varies among product and brand choices. A person who first give or suggest the idea of buying the products or services. A person whose view or advice influence the buying decision. A person who decides on any component of a buying decision, whether to buy, what to buy, how to buy, when to buy and where to buy. The person who makes the actual purchase of products or services. A person who consumes or uses the products or services. Complex buying behaviour involves a three - step process. First, the buyer develops beliefs about product. Second, he or she develops attitudes about the product. Third, he or she makes a thoughtful choice. Consumers engage in complex buying behaviour when they are highly involved in a purchase and aware of significant differences among brands. This is usually the case when the product is expensive, bought infrequently, risky and highly self - expressive. Typically the consumer does not know much about the product category. So, the marketer of a high - involvement product must have to understand the consumer’s information gathering and evaluation behaviour nature. Sometimes the consumers are highly involved in a purchase but see little difference in brands. 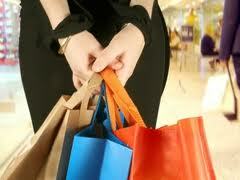 The high involvement is based on the fact that the purchase is expensive, infrequent and risky. The buyer will try to learn more information about the product what is available at the time of purchase but will buy fairly quickly, perhaps responding to a good price or to purchase convenience. For example, carpet buying is a high - involvement decision because carpeting is expensive and self – expressive, yet the buyer may consider most carpet brands in a given price range to be the same. After the purchase, the consumer might experience dissonance that stems from noticing certain disquieting features or hearing favourable things about the other brands. Many products are bought by the consumer under conditions of low involvement and absence of significant brand preference. Such as salt, sugar, match etc. Consumers have little involvement in this product category. They go the store and reach for the brand. If they do not get their own brand then they shifts into the other brand. They have no strong brand loyalty. The consumers have low involvement with most low cost, frequent, less risky purchased products. With these products, consumer behaviour does not pass the normal sequence of belief, attitude and behaviour. Consumers do not show interest to search extensively for information, evaluate characteristics and make decision on which brand to buy. Marketers of such kinds of products find it effective to use price and sales promotions to stimulate product trial. Some buying situations are characterized by low involvement, frequent, less risky but significant brand differences. Here consumers often do a lot of brand switching. As for example, cookies. The consumer has some beliefs about cookies, chooses a brand of cookies without much evaluation and evaluates the product during consumption. Next time, the consumer may reach for another brand out of a wish for a different taste. Brand switching occurs for the sake of variety rather than dissatisfaction.